....HOW ADVERTISING SPOILED ME....: Interesting art! i dont get it! 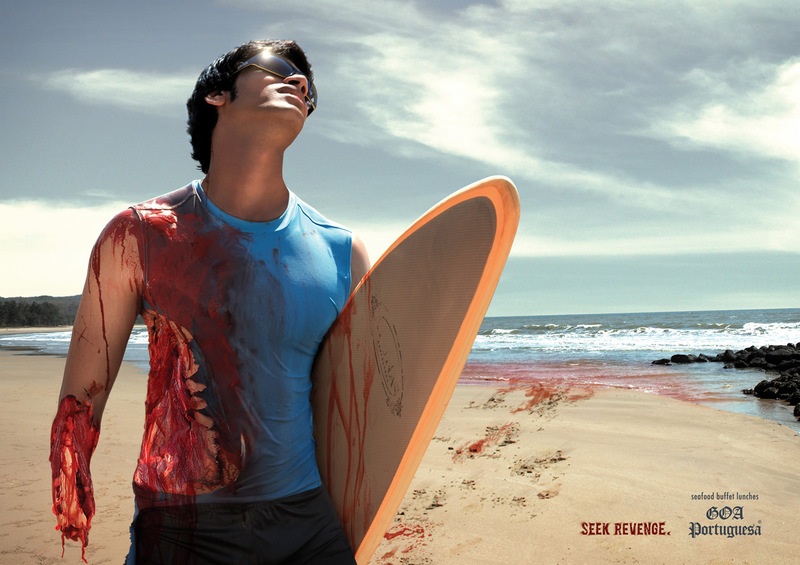 can someone please explain..what revenge msg is the ad trying to convey? Very simple: shark eats man...revenge is at the seafood buffet where the man gets to eat shark. A recent football ad which I loved!